CurrencyFair Review - Is it an option to consider? Long gone are the days when needing to transfer money meant going to Western Union or the bank, paying whatever rates they wanted to give you that day. Now there are now hundreds of online companies that offer all manner of transfers. CurrencyFair is one such company. Like many others, CurrencyFair utilizes a peer-to-peer system to make transfers cheaper, faster, safer, and easier. But are they the best? Let’s take an in-depth look at everything CurrencyFair offers and see how they stack up against similar companies in the online transfer business. Spoiler: If you are searching for a coupon code for a free transfer then here it is: 3 TRANSFERS for FREE. Anyway, I would recommend keeping reading to learn more about the provider and see if it suits your needs. CurrencyFair is located in Dublin, Ireland. Unlike many other transfer companies online, CurrencyFair has been around since 2009, making it one of the oldest peer-to-peer international money transfer companies around. They rely on a network of people to connect you with someone else’s alternate currency, allowing them to exchange money directly. This cuts out all of the fees traditionally associated with exchanging money. 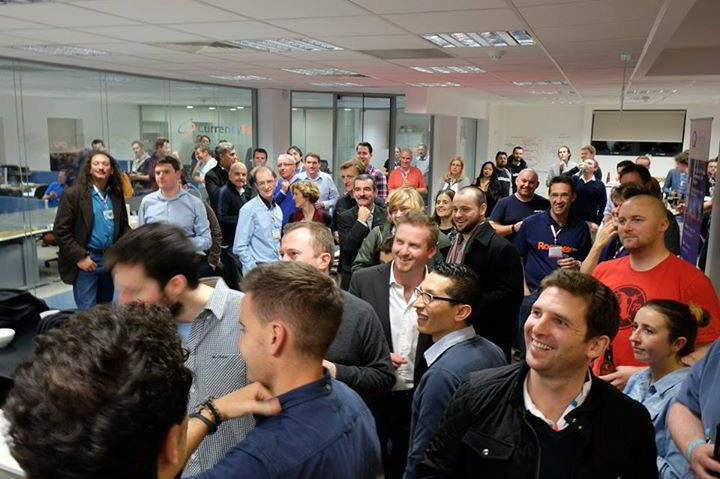 They are relatively small company of about 80 employees with 3 locations: Ireland, the UK and Australia. This provider handles exchanges in 18 different currencies. This is a little disappointing, in my opinion. There are many transfer companies that can handle dozens of currencies, and CurrencyFair exchanges less than twenty. Why Did I Try CurrencyFair Anyway? While there are tons of transfer companies out there, I was intrigued by CurrencyFair because of their incredible rating on TrustPilot. Out of about 3,000 reviews, this company has a 93% “Excellent” or “Great” rating with their customers. This gives them an overall score of five stars, making them among the highest-rated transfer companies around. All of the comments from customers seem to contain the words “great customer service,” or “easy-to-use website” that makes CurrencyFair an appealing option for moving money. So I decided to take a second look at the company that is so loved with the people who use it the most. Also, since we’re dealing with money, I am always interested in companies that seem to go the extra step to try and keep their customers’ money secure. While no system is perfect, CurrencyFair has some amazing security in place. These guys are regulated by the EU Communities Regulations and the Australian Securities and Investments Commission (ASIC). They use segregated accounts to keep customers’ money separate and safe from their own. The site has two-factor authentication so that someone trying to get into your account needs more than just a username and password. CurrencyFair.com uses 256-bit encryption via SSL from VeriSign. This ensures that your connection is as secure as it can possibly be. They also safeguard your data on their side with biometric security. Between CurrencyFair’s dedication to the protection of your information and their amazing ratings from their customers, it’s hard not to be interested in this growing company. So let’s dive into the nitty gritty of actually using CurrencyFair next. Whether paying for something across borders or sending money back home, most users will need to transfer money on a regular basis. This makes ease-of-use incredibly important. I mean, who wants to mess with a site once a week when it’s difficult to navigate? So let’s take a deeper look at how easy (or difficult) CurrencyFair is to use and to sign up for. Don’t be confused by many steps. It’s really easy and quick to register. All documents get verified automatically in most cases. Worth to mention that your 3 first transfers will be FREE of charge. So why not to give a try? Once all of your information has been put in (and your documents have been scanned), you’ll be ready to send you first transfer. To send, you’ll need not only your banking information, but also the banking information of the person you wish to send money to. The process is as easy and streamlined as it can be considering the laws and regulations that CurrencyFair has to comply with. Once you have double checked all of the information, you are done! The money will be delivered within two to five business days. While this is not the fastest transfer time around, and they offer no instant transfers for any currencies, two to five days is usually fast enough for most users. So far, CurrencyFair is nearly ticking all of the boxes; it is safe to use, easy to sign up for, and easy to send money with. Now let’s take a look at the most important aspect of CurrencyFair: what do their rates a fees look like? While it’s been a long time since we’ve been leashed to whatever rates our bank chose to give us for transfers. Now we get to enjoy rates that are much closer to the actual exchange rate. No more hidden fees nestled inside of awful exchanges. So what sort of rates does CurrencyFair offer? Turns out, they have amazing mid-market rates! Mid-market rates are the reference rates for banks and other exchange services. It’s calculated by taking the median between the sell and buy rates of a currency; this gets you really close to what the exchange rates between two banks might look like. So you get the same great deal as the banks do. Although CurrencyFair still does have fees (usually an exchange fee of €3 and a small percentage based on the currency), they are much less costly than banks, Western Union, or PayPal. They even beat out some of the other transfer companies, too. It’s not the best deal in town, but there is a massive fanbase that find CurrencyFair to be a great value for them and their families. 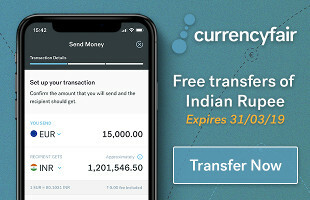 Depending on what kind of currency you are sending or seeking, or the amounts you are regularly sending, CurrencyFair can really save you a lot of fees. Let’s breakdown the fees a little more; we’ll give you a few examples so you can see how it compares to whatever you are currently using. You can always go to CurrencyFair website and get a quote for your transfer instantly without registration. Pretty straightforward, right? Now these prices are based on current market values as I’m writing this. As you can see, CurrencyFair’s exchange rate is very close to the mid-market exchange rate. The only noticeable difference is observed in GBP and EUR currency pair where the value is slightly below the market rate. But I got all of this information myself, without sending a dime or even signing up for an account. CurrencyFair is really transparent about their fees, which makes me like them. 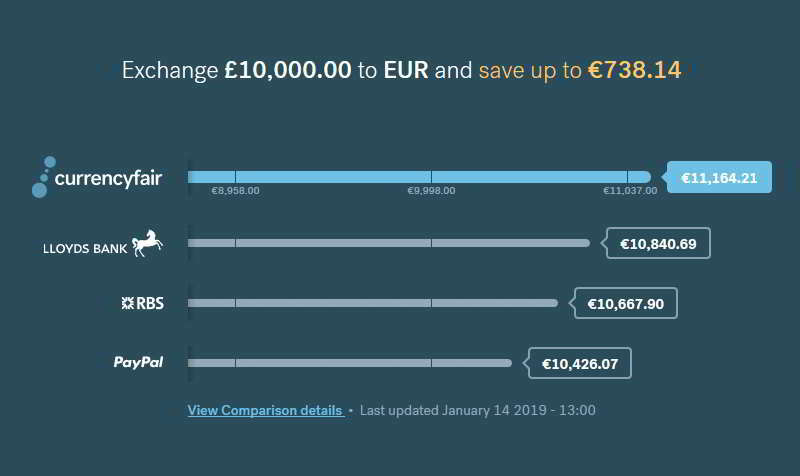 While there are other sites that also do the same thing, like TransferWise, it’s still nice to know exactly what you’ll be paying before you even sign up. 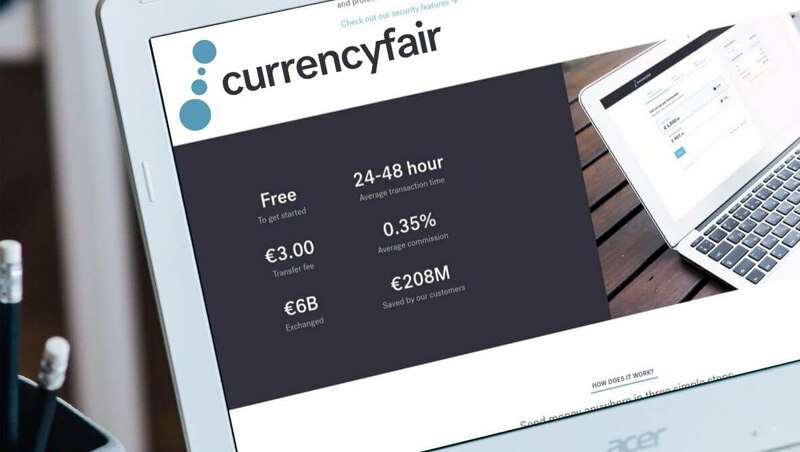 CurrencyFair also has something called a Marketplace when you can choose your own exchange rate. This is great if you don’t have to worry about speed when you are transferring money. The way it works is you choose your outgoing currency, then you choose the conversion rate you wish to pay. Your information then is sent to the marketplace where you wait for a buyer willing to accept your terms. Then you exchange your currency directly, and you both walk away happy. While this is a great system for people who don’t have to worry about getting your money where it needs to go fast, most of us don’t have the luxury of time. I don’t find the Marketplace very useful, though it may be a boon to some users. There is one feature the CurrencyFair offers that is incredibly cool though. It’s called a Rate Alert. As soon as a currency reaches a rate that you preset, an alert will be sent to your email. You can also just have them update you with the latest numbers for your favorite currencies. This is a great feature that helps me to decide the best time to exchange my currencies to get the most bang for my buck. CurrencyFair seems like a safe and secure company to send your money overseas with. They continue to grow and expand, even after a whole decade in the business. They have a model built on trust and seem to have the love of their customers. While they might not be the cheapest around, they are still an option that you can feel safe transferring your currency. Since your first transfer is free, I gave them a try and have no complaints about the service I received. I think that they are at least worth a shot, even if you only use them to get the free first transfer. In my opinion, I will choose the safest and highest-rated over the cheapest any day of the week. CurrencyFair really seems to fit that bill.